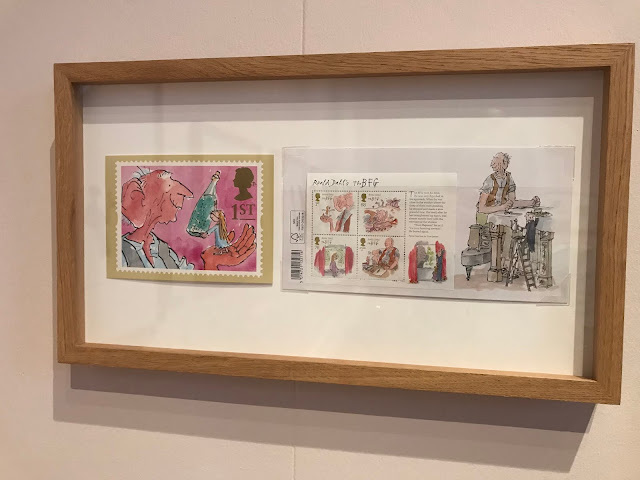 There're lots of reasons why you should make time to visit The Bowes Museum (and most of them you can read about on my blog!) but there's an extra special reason to visit this weekend! 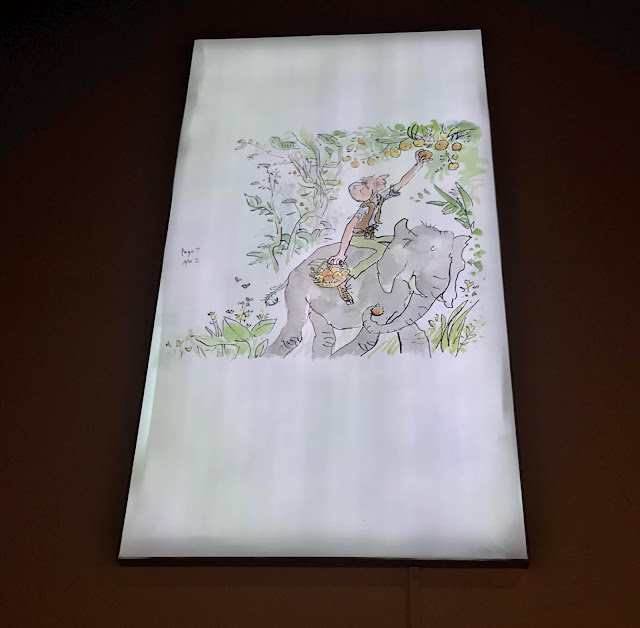 Yes, this weekend is the last that you'll be able to visit the lovely BFG exhibition and if you loved the book as a child (or if you're a child-or a big child-that loves the book now!) it's definitely worth the visit! Quentin Blake illustrated many Roald Dahl books; his illustrations really help to bring the characters to life and seeing his BFG illustrations collected together in one space really helped to bring back some amazing childhood memories for me. 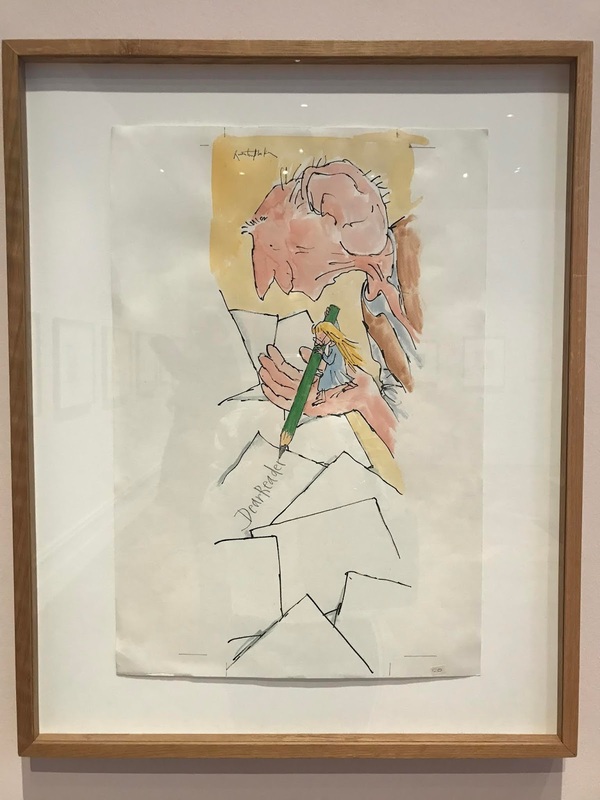 When I was little, my favourite Roald Dahl book was George's Marvellous Medicine (I still list it as one of my favourite books today!). 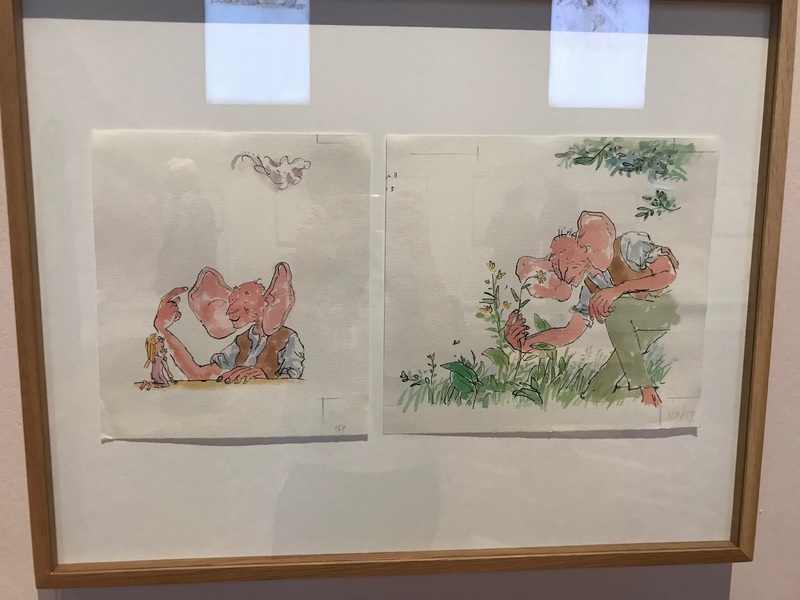 Miss Brown my primary school teacher at the time, gave each character a voice when she read it to us at story time, and even though I've read it numerous times since, I still hear the voices in my head that she assigned to them. 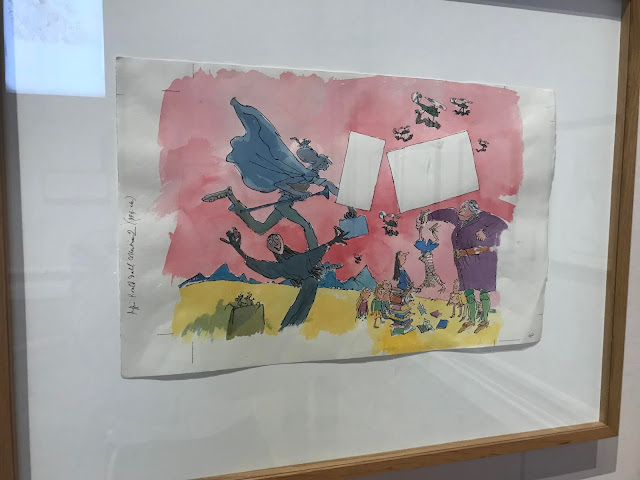 When I think of the book, I always think of Quentin Blake's drawings of George and his giant evil Grandma after she drank the potion George concocted. 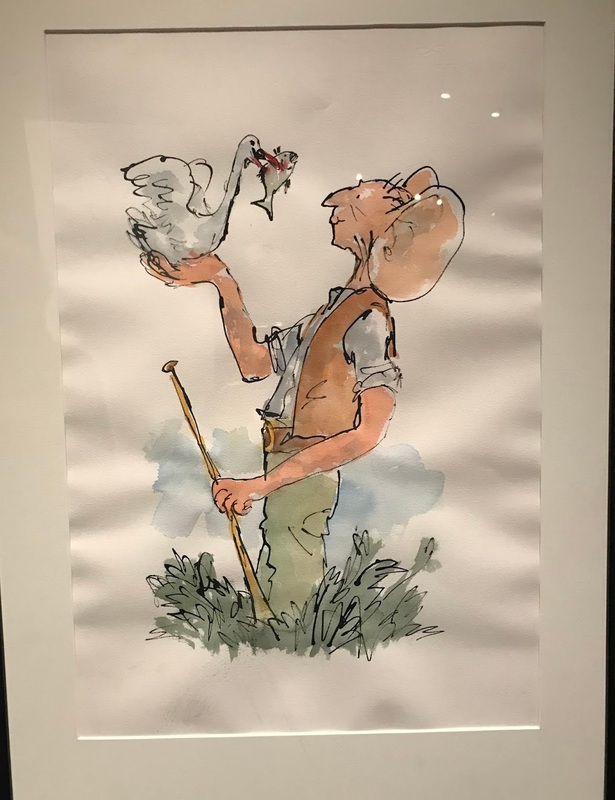 Similarly, I alway think of the wonderfully tall BFG, with his large ears; the illustrations are a perfect partner to Dahl's beautiful words. 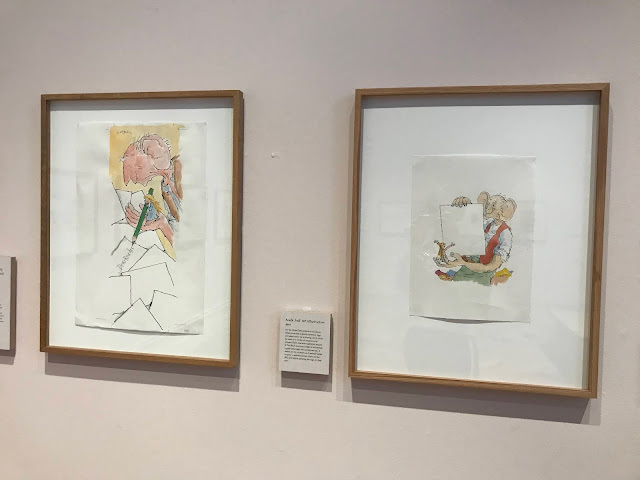 "The BFG in Pictures" looks at how the BFG first came to be a Roald Dahl character, how he evolved from black and white to colour and how you can draw your own BFG too! 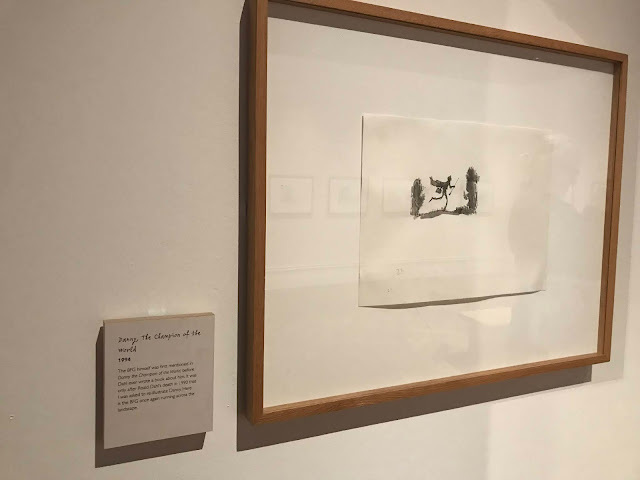 And for all of the chiddlers visiting the exhibition, there's a place to create your own artwork too! 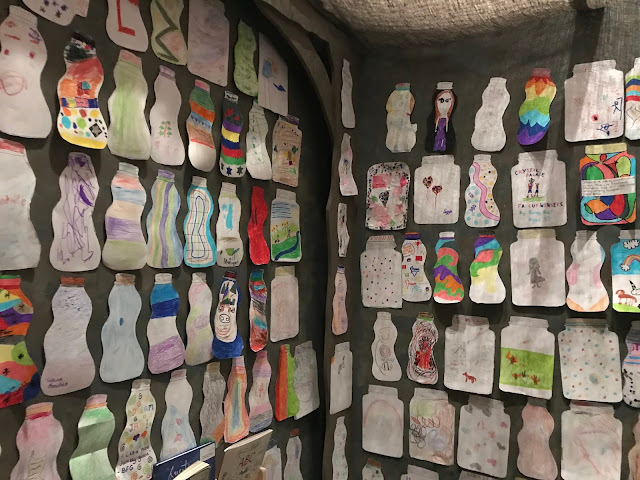 I really enjoyed reading the wishes in the wishing jars added by those that had visited! I don't want to tell you too much about it in case you're planning to visit this weekend, but it really is a lovely little exhibition for the whole family. As an added bonus, there's a BFG trail too! If you fancy hunting out the clues, pick up a trail map at the museum's reception desk, and follow the trail. 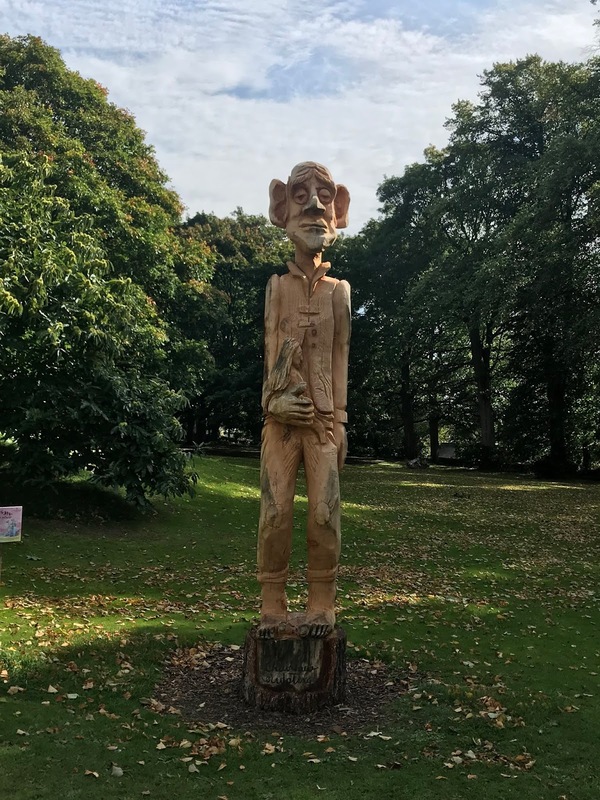 If you're lucky, you might spot the BFG strolling around the grounds too! Hunting for giants is hungry work, so how about a BFG inspired afternoon tea to finish your day? 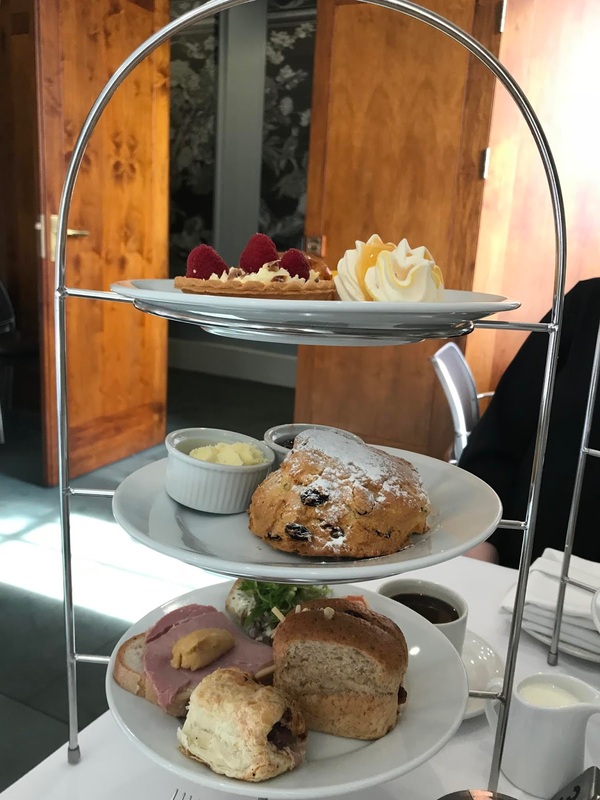 At £18.95 for adults and £8.95 for a special children's version, the afternoon tea provided by The Bowes Museum is AMAZING! 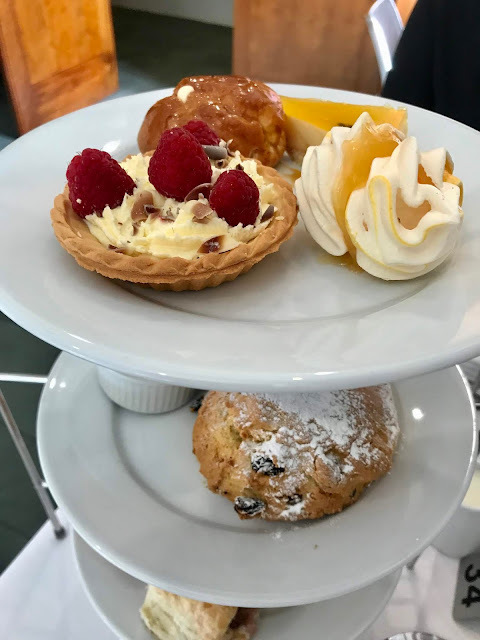 Special credit to the Café Bowes staff, for the delicious treats and wonderful service! I'll break each section down layer by layer so you know exactly what to expect. Starting with savouries, you'll get a Pastrami, Rocket and Snozzcumber sandwich with mustard mayonnaise (although I think the BFG ate my Snozzcumber!! ), a delicious Whoopsy Whifling Ham and Pease pudding sandwich (my favourite of the bunch! 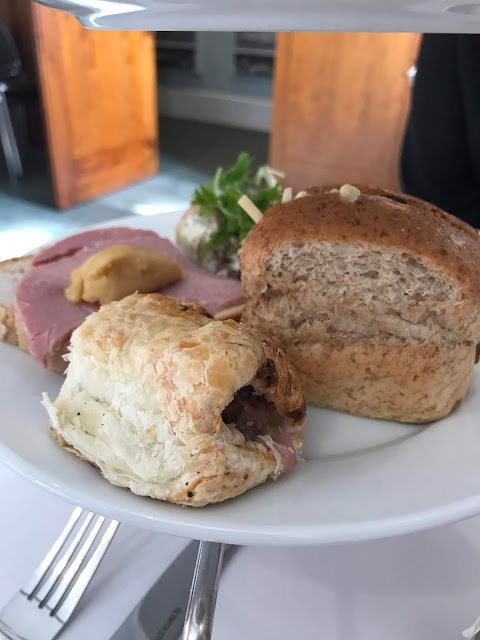 ), a Svollop Smoked Salmon and Crodscollop Cream Cheese wrap, a Time Twiddler Cheese and Chutney sandwich and a delicious sausage roll! Moving up the cake-stand, the Glummy Fruit Scone is EPIC! I love a fruit scone from Café Bowes and this one near enough finished me off, but it was worth every mouthful! And then it was the cake layer, but sadly, I didn't manage much of it as I was so full! There's a Lemon Phizz-Whizzing Meringue Hug which was deliciously tangy, a Mango and Passion Fruit Bavarois, also lip-smackingly delicious, a Delumptious Caramel Choux bun and a Strawbunkle and Raspberry tart, which I couldn't fit into my ever expanding tummy, but I took them home for my Mister who can vouch for how delicious they both were. 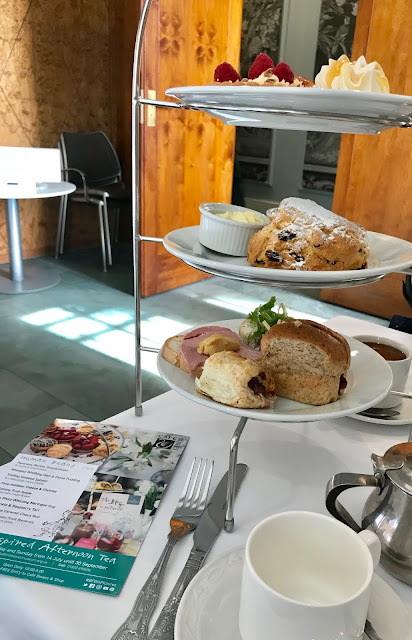 It was so nice to treat my friend Fi to this afternoon tea on her visit to the museum and it was a great way to end our afternoon, so if you're visiting this weekend, why not try it for yourself? But remember, if you want a special BFG afternoon tea, booking is essential, so be sure to call the museum before you visit. To learn more about the BFG in Pictures and to book your entry tickets check out The Bowes Museum's website here. 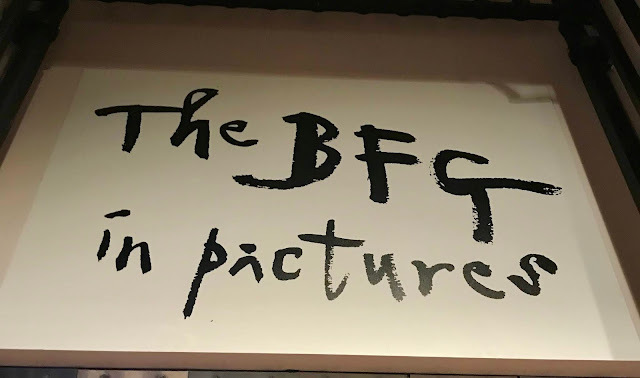 The BFG afternoon tea is available on Friday, Saturday and Sundays only and is due to end on September 30th, 2018, so make sure you book today! 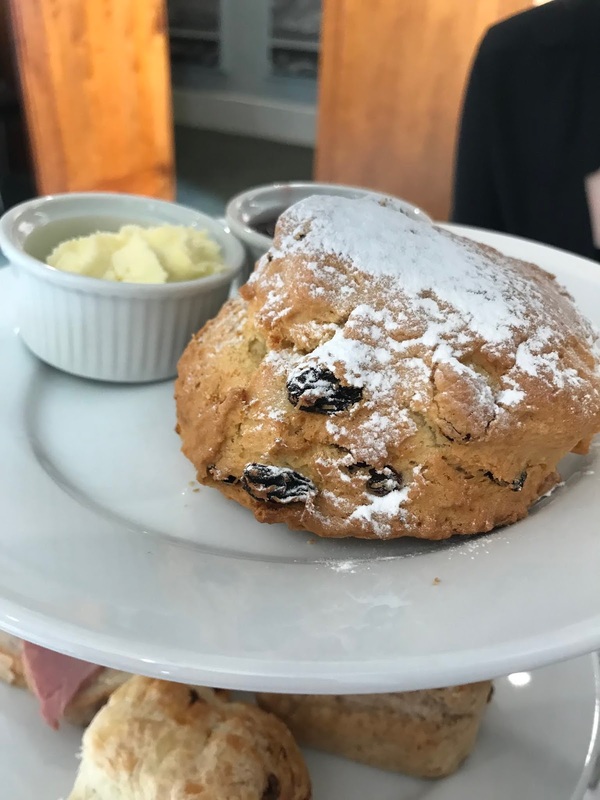 You can book your afternoon tea here. I was terrified of the BFG when I was a kid, I used to hide it behind the bookcase like it was going to come out and get me if I could see it! LOL!! The tea looks lovely, do love a themed afternoon tea!